Whether you’re worried about the possibility of a natural disaster or a disgruntled employee tampering with your data, IXN has you covered. IXN offers a full range of options from offsite backup and recovery to replication and high-availability solutions to keep your business running in the event of a disaster. Our disaster recovery specialists start by understanding your applications, environment, and recovery goals. If you don’t have a disaster recovery strategy yet, we can help you create your own plan for the servers you host within IXN or your own on-premise systems. IXN is proud to announce the arrival of Active Recovery, a new suite of services which provides a much more robust File Backup and Disaster Recovery solution. 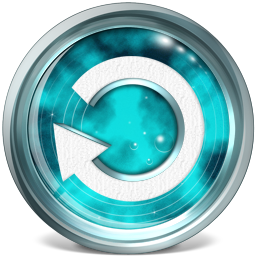 The Active Recovery Suite allows for more granular control and management of the type and schedule of your backed up data. Each product detailed below is a separate purchase. However, incentives exist making a “package” purchase of the services a great deal. How often would you like to have a restore point created? Typically, clients choose to have their server backed up nightly, thus allowing a restore to the previous night if a major error were to occur. How many individual restore points would you like us to maintain? By default, IXN maintains 7 restore points of your server. We are capable of providing many more, for an additional monthly fee. A hot-standby is a copy of your server which is ready to go at a moment’s notice, allowing us to fail-over your live server to the standby in the event of a disaster. This product allows us to provide a higher level of availability for your services, mitigating the effects of a disaster. In the event of a disaster, how much recent work would you be willing to lose? (15 minutes worth, 30 minutes worth, etc.)? This will determine how often we run a replication cycle of your server, with the smallest interval being 15 minutes. How many discreet point-in-time copies of your server should we maintain? This will determine how many individual restore points we maintain for your server, up to a maximum of 28. An interval of 15 minutes with 28 restore points means we can restore your server to a point in time up to within the last 7 hours.